As accredited members of the NICEIC, MCS, Safecontractor and Norfolk County Council’s Trusted Trader Scheme, you can be assured that both our standard of workmanship and Health & Safety procedures are of the highest standard. 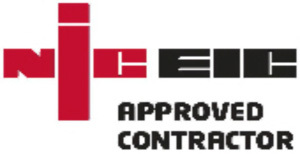 The NICEIC (National Inspection Council for Electrical Installation Contracting) is the electrical contracting industry’s independent voluntary body for electrical installation matters. Norfolk Trusted Trader is the only trader scheme endorsed by Norfolk County Council. The scheme is made up of businesses that are recommended by their customers and all members are checked by Trading Standards before acceptance to ensure their suitability. Safecontractor is a leading accreditation scheme that assesses the health and safety competency of contractors and service providers. They are dedicated to promoting higher standards of competence and compliance through the provision of tailored health and safety assessments.